Sport & Meditation: The inner dimension of sport, is a unique book which challenges our preconceptions of our physical capacities and of the limitations of age. 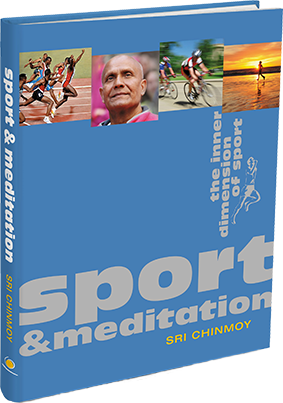 The author, spiritual teacher and athlete Sri Chinmoy, is the world’s foremost authority on the connection between meditation and physical fitness, showing us how anybody can bring the power of meditation and mindfulness into their exercise and training in a very practical way. This is a broad ranging book, which synthesises the philosophical and the practical. It includes specific exercises concerning guided meditation, concentration and mantra as aids to the focus needed in all forms of exercise and training. It is this new facet that enables us to achieve peak performance, to get more from exercise and to enjoy robust and lasting health and well-being. 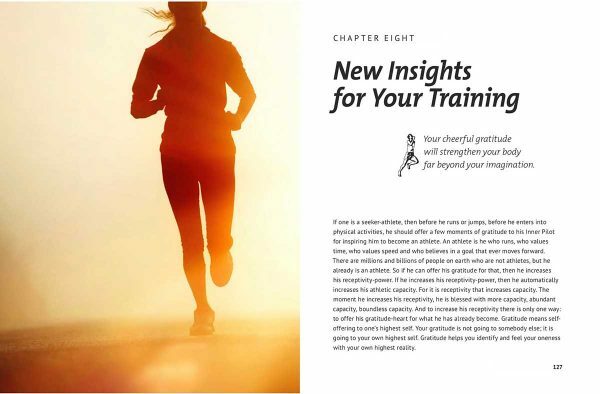 World champions such as Carl Lewis, Tatyana Lebedeva, Tegla Loroupe, Bill Pearl, and Paul Tergat share their own inner secrets and spiritual perspectives on training and competition in anecdotes peppered throughout the book. 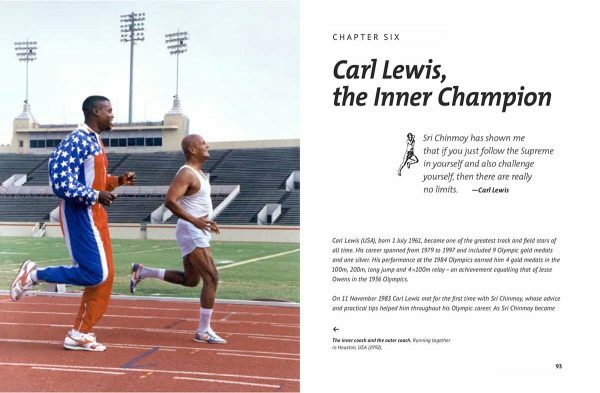 This book shares Sri Chinmoy’s insights and offers a new perspective on the connection between sporting performance and mental and spiritual development. With detailed instructions, the author shows how meditation and spirituality can help us tap into our inner capacities and transcend our current notions of performance. Sri Chinmoy was a trailblazer in extreme weightlifting and challenged our very concept of impossibility. He was also a marathon, and ultra-marathon, runner and exercised voraciously throughout his life, always drawing on his spiritual practice for his outer capacity. Astoundingly, he continued to transcend his own weightlifting achievements well into his 60s and 70s. About the author: Prolific writer, artist, athlete and internationally renowned spiritual leader, Sri Chinmoy is recognized as a foremost teacher of meditation. For 37 years, he was a director of the peace meditations at the United Nations in New York City. He used his creative work to communicate to the world his aspiration for a “oneness-world-family”, for universal peace, harmony and integrity of mind and spirit. Sri Chinmoy was born in Bengal, India in 1931. From 1964 onwards, he lived in New York, USA, where he died in 2007.